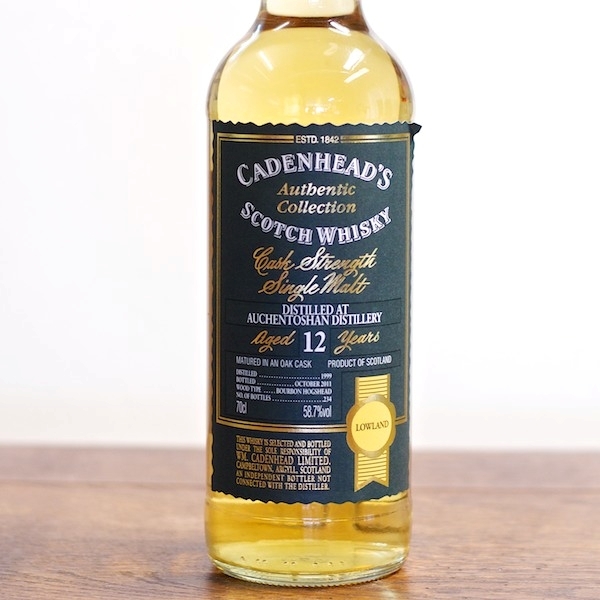 Another single cask from Cadenheads. This one comes from a Bourbon hogshead and only 234 bottles were made. 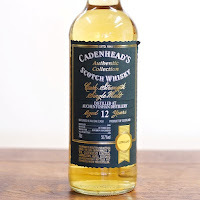 Regardless the high ABV it is almost so light that you don’t sense anything in the smell… Give it a couple of minutes in the glass and it starts to open up for some floral notes and vanilla sweetness. You might not notice the high ABV in the smell, but it kicks you in the face when you take the first sip! The taste is compact and full of grass, hay and a hint of the oak influence. Some sweetness appear in the finish. Especially vanilla, but the rough notes are still present. It might be a bit simple, but it is a more rough version than I normally associate with Auchentoshan. I like that! I found that it could take quite some water, and after a good portion of water some strong licorice notes appear in the taste. I will give this 85/100 (20/22/22/21).